AmeriCommerce has several options to help grow your business using multiple third party applications and integrations. This guide will help explain what each one does and where you can go to get the most out of each of these beneficial and useful add-ons. You can find a list of our applications and add-ons and where to enter your credentials and API info and that can be found under Tools > Apps & Add-Ons in the back end of your AmeriCommerce admin console. Summary: This is a rate table that AmeriCommerce manages and updates monthly with the latest tax data from a 3rd party provider. This information is accurate down to the zipcode / city level and includes all municipal, county and state tax rates. It tries to match based on Zip / City and if it cannot match on the city it gets the highest rate for the zipcode. The same rate is applied to all taxable items and taxable shipping on an order, regardless of product type. Summary: Affirm's innovative financing allows consumers to pay for items in monthly installments with a simple, transparent fee and without the hassle or complexity of revolving credit. Where Do I Get Started? You can sign up for a merchant account here: https://www.affirm.com/merchants/ and once you are set up go to Tools > Apps & Add-Ons > Affirm and enter your credentials given to you by Affirm. If you need any more help you can also contact sales@affirm.com. Summary: Avalara provides end-to-end sales tax compliance software, all in the cloud. Fast, easy, accurate, affordable and reliable rate calculation & filing. Summary: Avalara can help you manage sales tax compliance by giving tax rate calculations, help with certificate management as well as filing and returns. Where Do I Get Started? Check out their site here to get started. What if I need more information? Give them a call at (855) 669-5116 or contact them here. About: Founded in 2000, Bill Me Later, Inc. developed PayPal Credit and provides services for Comenity Capital Bank, the lender of PayPal Credit accounts. Bill Me Later, Inc. was acquired by eBay, Inc. in 2008, and is a PayPal company headquartered in Timonium, Maryland with additional offices in Hunt Valley, Maryland, Chandler, Arizona and San Francisco, California. Summary: Formerly Bill Me Later by Paypal, Bill Me Later is now PayPal Credit. However, your existing account information and credit line will still remain intact. If you do not have a PayPal account, you can continue to service your account here by using your Bill Me Later user ID and password. For those of you with a PayPal account, you’ll get to service your credit line on PayPal, and take advantage of the additional benefits of PayPal, like sending money and the ability to schedule future payments. In the coming months, we will be moving everyone over to PayPal and offer you the additional benefits as well as an easier to use interface, and all we’ll need you to do is link your credit line to a PayPal account. Where Do I Get Started? Learn more here at Paypalcredit.com. About: Bing Product Search simply integrates product results within Bing search results rather than in a separate destination. Unlike other search engines, Bing also continues to offer both paid and free ways for merchants to have product listings. Summary: Formerly Bing Shopping, Now Bing Product Search. More info here. What if I need more information? Contact Bing here for any issues you have. About: Bronto Software is a cloud-based marketing automation provider based in Durham, North Carolina that started in 2002. Bronto Software provides a marketing platform for online and multi-channel retailers to run email marketing and cross-channel marketing campaigns. Summary: Bronto Software provides a cloud-based marketing platform for retailers to drive revenue through their email, mobile and social campaigns. Where Do I Get Started? Find out more here or call 1-888-BRONTO1. What if I need more information? You can also contact them in many locations including New York, Canada, North Carolina, as well as Europe and Australia. Check out their contact info here. About: Facebook Apps is defined as interactive software applications developed to utilize the core technologies of the Facebook social networking platform. Summary: Apps and games are developed to enhance your experience on Facebook. You can add the apps and games that interest you from the App Center. Where Do I Get Started? In AmeriCommerce, go to Tools > Apps & Add Ons > Facebook and enable the Login With Facebook feature. For more info, check out our Login With Facebook article here. What if I need more information? All responsive themes should have this functionality. However, if you cannot get it to work on your storefront, try adding the $$FACEBOOKLOGINBUTTON$$ merge code into the customer login header widget of your theme using the Widget Layout. Summary: Google Shopping results do appear within regular Google searches, whenever Google believes there’s a shopping match. These results are normally shown in a special shopping box integrated into regular results, which also shows a “Sponsored” disclaimer. Where Do I Get Started? You can follow our instructions here on how to set up a product feed with AmeriCommerce and connect it to Google. What if I need more information? Get help and more information here, or give them a call at 1-866-2GOOGLE. What are site maps? Check out Google's Article here. About: Google Analytics is a free service offered by Google that generates detailed statistics about the visitors to a website. Universal Analytics is the new operating standard for Google Analytics. To use this feature, your Google Analytic account needs upgrade to Universal Analytics. Follow this link to see if you use Universal Analytics. Summary: Google Analytics shows you the full customer picture across ads and videos, websites and social tools, tablets and smartphones. That makes it easier to serve your current customers and win new ones. Where Do I Get Started? Get started here. Once you're set up, you can check out our article on How To Use Google Universal Analytics. What if I need more information? Go here to see the documentation on Google Analytics and learn some more tips and tricks. 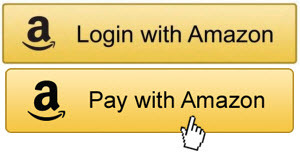 About: Login and Pay with Amazon makes it easy for customers to buy what they want, and get on with their lives. There’s no need to create countless usernames and passwords - your Amazon account credentials are all you need. Learn more here. Summary: With Automatic Payments, merchants can establish ongoing payment relationships with their most loyal customers. Go beyond the transaction and build deep customer relationships, all while leveraging the convenience and trust that Amazon provides. Where Do I Get Started? Sign up here. What if I need more information? Once you're set up and need more help, you can contact them in multiple ways here. About: If you accept credit cards online, you can also accept PayPal payments by adding an Express Checkout button. It's a proven way to grow your business. Summary: With Express Checkout, the customer can pay without having a PayPal account. Where Do I Get Started? Get started here. Once you are set up you can follow the steps in this article here. About: Pricespider.com was first launched as a consumer shopping engine. We soon discovered that our proprietary technology was ideally suited for providing highly accurate and timely data to consumer electronic manufacturers, and it wasn't long before Pricespider was powering the Where-to-Buy engines for 10 of the world's top consumer electronics brands. Pricespider has now grown well beyond its consumer electronics roots to provide data/solutions across a growing list of global industries. Where Do I Get Started? Click here and select "New account inquiry" to contact them on what to do to get started. You can also contact them for more information. What if I need more information? To get more info on how to get started and how to set it up, check out more on Amerisync with Quickbooks here. About: Security Assertion Markup Language (SAML) is an XML standard that allows secure web domains to exchange user authentication and authorization data. Using SAML, an online service provider can contact a separate online identity provider to authenticate users who are trying to access secure content. What if I need more information? Check out the info here. Summary: Shopzilla operates a portfolio of shopping web sites, with greatest experience as a price comparison service. Where Do I Get Started? Sign up here to be a merchant with Connexity, a service that helps with Shopzilla. What if I need more information? Check out their support portal here. Summary: SmartyStreets is a company that provides street address validation and geocoding API services. Free and commercial accounts are available. Where Do I Get Started? Try them out for free here, and once you've set up your account with them, check out our article here. About: Monsoon Stone Edge is the flexible, PCI compliant open source system designed for multi-channel retailers. It’s easy to customize and seamlessly integrates with over 20 eCommerce platforms and shopping cart systems, 10 payment gateways, and several popular third-party accounting packages. In addition, the system is fully interoperable with leading warehouse management, marketplace management, drop shipping, barcoding, and EDI systems. By combining our rich functionality with that of our best-of-breed complementary solution partners, all of your employees have accurate information at their fingertips at all times, enabling them to make rapid, proactive decisions that eliminate costly errors, increase inventory turns, minimize out-of-stocks, maximize customer service, and improve overall performance. Learn more. Where Do I Get Started? Go to monsooninc.com to get started. What if I need more information? You can contact them here or check out their Knowledge Base. It includes instructions, technical information, and troubleshooting suggestions. They have over 20 free training videos on topics such as installing and configuring Monsoon Stone Edge, setting up shipping options, the stack controller, purchase order system, email template editor, point of sale system, SQL server conversions, and lots more. You can also communicate with and learn from other current and prospective Monsoon Stone Edge users on the User Forum. Browse, search, post, and reply to our message board. Over 2,500 Monsoon Stone Edge customers, prospects, and consultants belong to the User Forum. Open to the public. About: ShipStation is a web-based software designed to help eCommerce retailers process, fulfill, and ship their orders from all the most popular marketplaces and shopping carts using all the top carriers. Co-founded by Jason Hodges and Byron Wier in 2011, the Austin, TX based company has since grown to include the amazing people you see below. We focus on the customer, and aim to continue to build out the best shipping software around. Summary: At ShipStation, our goal is to simplify the shipping process for online merchants. We combine order processing, production of shipping labels, and customer communication in an easy to use, web-based interface that integrates directly with major carriers and online platforms. By taking care of the small stuff, we allow you focus on what you do best – selling and marketing your products. What if I need more information? Visit their support portal here or contact them at, or check out the community forums, or give them a call at (512) 485-4282. Where Do I Get Started? Sign up for a 30 day free trial at http://www.shipstation.com to find out how much time you can save! Summary: Live Diamond Try On is an application, designed to generate interest in diamond bridal jewelry and ultimately drive consumers to their local Red Box Diamond Moment retailers. About: TaxCloud was created by FedTax, a privately held company that is committed to making it easy for retailers to collect sales tax online. At FedTax, we believe that technology can make it easy for any business to calculate and collect sales tax. We also believe that businesses shouldn’t have to spend a penny on collecting sales tax. FedTax was founded by e-commerce veterans in 2008 to offer online businesses a free and easy way to calculate and collect sales tax. We designed TaxCloud to be easy to use and to leverage the benefits of cloud computing. FedTax is headquartered in Seattle and has offices in Connecticut and Kansas. About: In 2013, Yahoo acquired Lexity and it became a part of Yahoo Commerce Central. Summary: Live Web Insights is a free website traffic analysis tool designed for ecommerce, with real time visitor tracking and much more. Other tools like Google Analytics can take hours to process data, too late for you to react. With Live Web Insights, real time information about current site visitors lets you watch your customers browse your website and go from checkout to purchase, all as it happens. It can also be used as an iPhone app. Where Do I Get Started? Sign up now on Yahoo's Commerce Central. What if I need more information? Check out their knowledge base here, and you can also contact them here. Some of these can be integrated with AmeriCommerce by going to the third-party application's site and signing up for their service. As we do not have a connection on our admin with them, for any help you may need check out the information below. About: One Saas allows you to connect and integrate your cloud services with your data from ecommerce and other platforms. They are located in Sydney, Australia. Summary: OneSaas allows you to have all your business apps talking to each other, sharing data, and making life easier. Where Do I Get Started? Click here to sign up. What if I need more information? You can visit their support portal, or contact them here. Summary: T-HUB is a multi-channel Order Manager solution designed to integrate your ecommerce stores with QuickBooks and Shipping services (UPS/FedEx/USPS). T-HUB works with several leading ecommerce platforms and shopping carts such as Amazon, EBay, Yahoo stores, Magento, Volusion, GoDaddy, X-Cart, BigCommerce, AmeriCommerce, osCommerce, AspDotNetStorefront and many more. Where Do I Get Started? Click here to sign up. 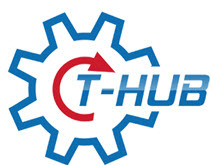 For more info on setting up T-Hub to work with your AmeriCommerce, purchase our integration here. What if I need more information? Give them a call at 973-200-8383. Where Do I Get Started? Get started with a free account here. What if I need more information? Get quick answers, tutorials and more on their knowledge base, or contact them here.